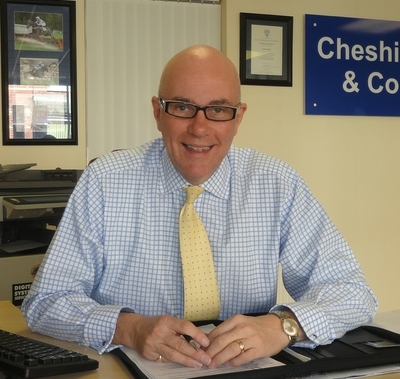 Gareth Cheshire, Owner of Cheshire and Co, discusses your new home priorities. Regular followers of the blog will already know that I have strong feelings about Miss Minogue, Jeremy Corbyn, expanding waists, Diane Abbott, Russian ladies with big..hair, pointy shoes on men, suits with skinny trousers and surveys, to name a few. All for very differing reasons and occupying both ends of The Chesh’s love/hate scale. One would not be surprised then to hear that after my ten mile run,to the gym and back, that I nearly choked on my muesli and protein shake (it takes a lot to look as buff as this) when reading the results of yet another survey. GoCompare Home Insurance, yes you got it, the Welsh singer that you want to punch,asked more than 2000 people (that many?) what their top property must-haves would be. Central heating and double-glazing topped the list. Er, is this 2018 or 1988? Find me a property that does not have these and those that do exist are either a stately home or on the other end of the scale, a shack. Both types are avoided by the vast majority of people looking to buy a property. According to the survey, buyers also rank secure doors and windows (what the…? ), plenty of electrical sockets and reliable broadband above good schools and period features. Reeaaallly? Ben Wilson, a spokesman for GoCompare Home Insurance said, “Buying a home is the biggest financial commitment most people will make. So, before viewing properties it is helpful to have an idea of the type of area and property you’d like to live in and think about your real must-have priorities”. Wow Ben, you don’t say. Taking your advice Benjamin, I’m off to look at a penthouse in Monte Carlo with Tatiana and Svetlana.. For… fill in as appropriate…..sake. Our property sage continues; “Connectivity and energy efficiency are two massive factors for anyone thinking about a move at the moment, while the number of electrical sockets is now more important than access to local amenities. Likewise, a broadband signal fast enough for streaming and a reliable and clear mobile phone signal are deemed home essentials today”. Enough Benjamin, my ears are bleeding. Let us get one thing very clear; in today’s market (or indeed that of yesteryear when the height of technological advancement was having a walkman and four channels on the television) the right house at the right price in the right place will always sell. In Cwmbran in certain streets, the magic words are ‘off-road parking’. Forget not being able to plug in the kettle, toaster and phone charger at the same time, if there aren’t enough sockets, they will get in an electrician. If there is no parking or the likelihood of there ever being any, you could have enough sockets to host Blackpool Illuminations, but it won’t sell as quickly or for as much money than it would if you could park a Reliant Robin within 50 yards of the front door. http://www.cheshireandco.co.uk/wp-content/uploads/background.png 1240 1754 Office Admin http://www.cheshireandco.co.uk/wp-content/uploads/cheshire-logo269111.png Office Admin2018-05-15 22:20:392018-10-30 17:01:27New home priorities.